May this serve as a tangible reminder of your true beauty, purpose and worth. 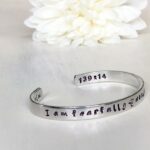 Find the reference verse stamped on the inside of the cuff. 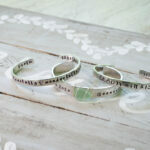 Made from a heavy duty aluminum blank and carefully hand stamped, hammered and polished. 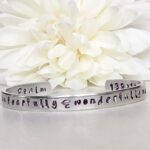 This bracelet is adjustable and fits most wrist sizes. Profits support our programs and events.